It’s time for a new way to run the marketing operations of your business. 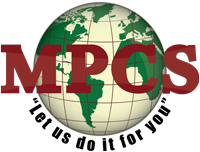 In MPCS we have a bunch of expert to help your business grow up hand in hand of new technologies without you have to worry about the competition if not them they are very worry about you. No matter what your company or business needs, you may need a Logo, a Web Site, a new App project (IOS or Android), a Corporate Video, a TV Commercial, Management your Social Media, etc. We have the most experts in the field. So do not hesitate to tell us your needs. contact us now!